The long shipbuilding traditions in Rauma date back to the 16th century. The city’s port saw its most busy phase during the Age of Sail in the 19th century, as all kinds of sailing ships were built in the port’s shipyards. 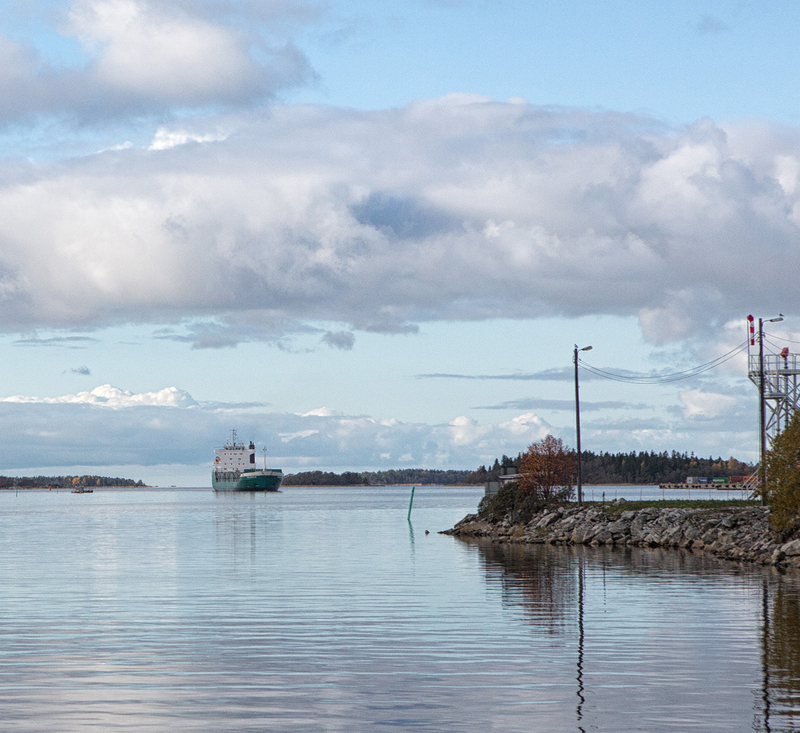 As a site, Rauma is particularly well-suited for the construction of specialised vessels. In addition to products aimed at commercial markets, a significant portion of Finnish governmental vessels have been built and serviced throughout history at Rauma Shipyard. The list includes all multi-purpose icebreakers and large patrol vessels. All combat vessels of the Finnish Navy commissioned since 1986 have also been constructed at Rauma. Rauma complements and creates security for the Arctic marine industry cluster currently forming in Finland and has a positive effect on the entire industry in its area. Home of the Rauma Maritime College, the city is the leader in the field of Arctic shipping. Founded in summer 2014, Rauma Marine Constructions is a shipbuilding company that represents the strong Finnish traditions in the industry. We are the only domestically-owned shipbuilding company of our size range. As a result, our decision-making and employment remains securely within Finland. 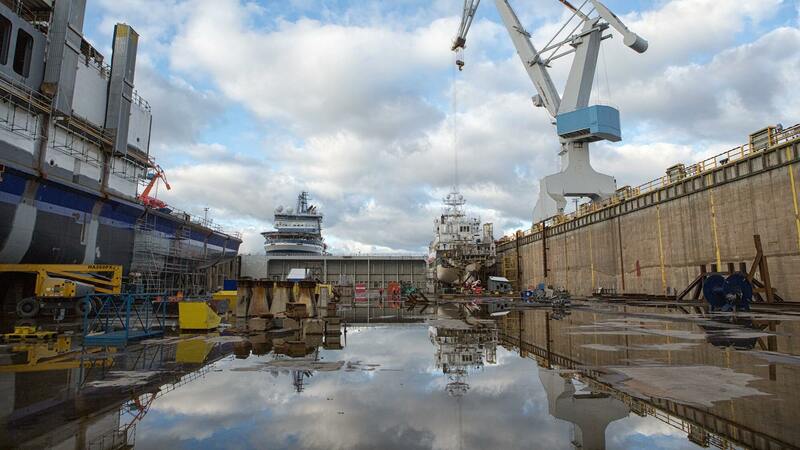 Our core expertise is ship construction and maintenance. We specialise in the construction and maintenance of multi-purpose icebreakers, car and passenger ferries, and vessels for use by the armed forces. We represent world-leading expertise in Arctic shipbuilding, an area heavily relied upon by the knowhow and competitiveness of the Finnish marine industry. Rauma Marine Constructions is based in the shipyard area acquired by the city of Rauma from STX Finland as an industrial investment of EUR 18.2 million in early 2014. The company has a lease agreement of 30 years with the city for the necessary facilities at Seaside Industry Park Rauma. RMC also holds an anchor tenant status and has the exclusive rights to shipbuilding operations. The company has also leased the steel production facilities of the area until further notice. Rauma Marine Constructions employs approximately 90 shipbuilding experts, whose solid expertise is founded on a craft passed on through the centuries, from one generation to the next. The knowledge and skills of successive generations are preserved and upheld in Rauma. In cooperation with its extensive network of partners, Rauma Marine Constructions advances the Finnish marine industry and continues the traditions of shipbuilding in Rauma. At RMC, our goal is to advance innovation, shipbuilding know-how and the Finnish marine industry. For the Finnish political weeks in 2016, Rauma Marine Constructions commissioned the art installation Brykä (the Bridge) by Rauma-born artist Jaakko Niemelä. The large, statuesque installation, welded from metal grids, resembled the bridge of a ship. Brykä acted as a visual reminder of Finland’s shipbuilding know-how. Rauma Marine Constructions is not a traditional shipbuilding company. Our business is based on the experience and expertise of our wide partner network. Together, we continue the long traditions of shipbuilding in Rauma, dating back over 600 years. We want to take part in public discussion and highlight Finnish shipbuilding expertise. Brykä was an opportunity for RMC to creatively engage in public discussion. 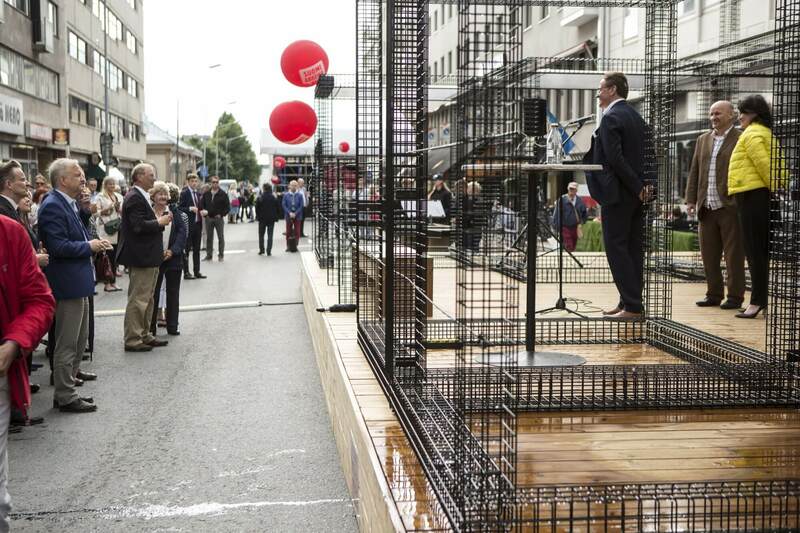 The art installation, which was constructed from over forty metal grid cubes, was constructed by Rauma Marine Construction’s own employees. Metal and wood, common materials in shipbuilding, were used in the construction. A stage was also set up next to Brykä, where an event for YouTubers and a coding festival took place during the week.